Your company just located the "perfect" applicant. The individual clearly exceeds all requirements for the position, and based on your company’s extensive interview process, appears to be an excellent fit. Everything is going according to plan until you receive a copy of the individual’s background check from your service provider which reveals a felony conviction several years ago. What do you do? Is the felony conviction sufficient grounds to eliminate the individual from consideration? If you overlook the conviction for this applicant, are you setting yourself up for issues with future applicants? The Guidance provides that there are at least two possible ways in which an employer’s use of criminal histories may violate Title VII: (1) an employer treats applicants with the same criminal records differently based on a protected class; and (2) an employer’s policy regarding criminal histories has a disparate impact on a protected class (i.e., the policy disproportionately affects members of one or more protected classes) if the employer cannot demonstrate that the policy is job-related and consistent with business necessity. To be clear, the Guidance does not prohibit employers from utilizing background checks or utilizing the information retrieved in making an employment decision. However, in order to avoid potential Title VII discrimination claims, employers must be sure to assess one’s criminal history in an appropriate and consistent manner. The most critical component of ensuring such compliance is to develop an appropriate policy for considering criminal histories that is consistently applied. In most situations, such a policy must call for an individualized assessment of criminal histories that includes a review of: (1) the nature and gravity of the offense; (2) the time that has lapsed since the event; and (3) the nature of the job being sought. Does your company have a policy in place? Do you have a "list" of offenses that you view as incompatible with certain positions? Should a financial-related felony be grounds for excluding applicants from all available positions – even those that do not regularly involve monetary transactions? Many employers want to be cautious when making hiring decisions, and rightly so. Proper vetting of candidates often involves a background check and consideration of prior indiscretions. However, in order to be in a position to defend potential discrimination claims based on such prudent practices, employers should develop a hiring policy that outlines the types of criminal or other background history that will disqualify an individual from employment with your company based on the requirements of a particular position. 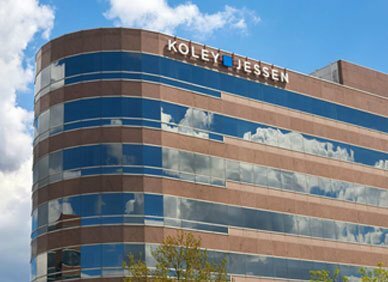 If you have questions regarding the Guidance, appropriate analysis of the relation between previous offenses and position requirements, or how to establish an appropriate policy, please contact Koley Jessen’s Employment Labor and Benefits Practice Group.